﻿ The Kaze 34 Hotel and Serviced Residence, Bangkok | FROM $25 - SAVE ON AGODA! "Awesome Vibe and Great Location." 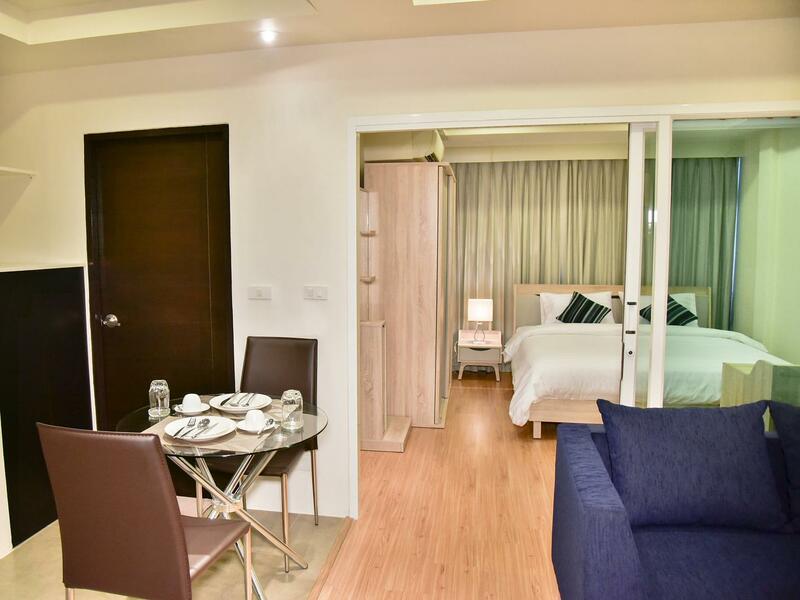 Have a question for The Kaze 34 Hotel and Serviced Residence? "The staff is always smiling." "All looks new and clean." "Thanks so much for all the good experience here!" 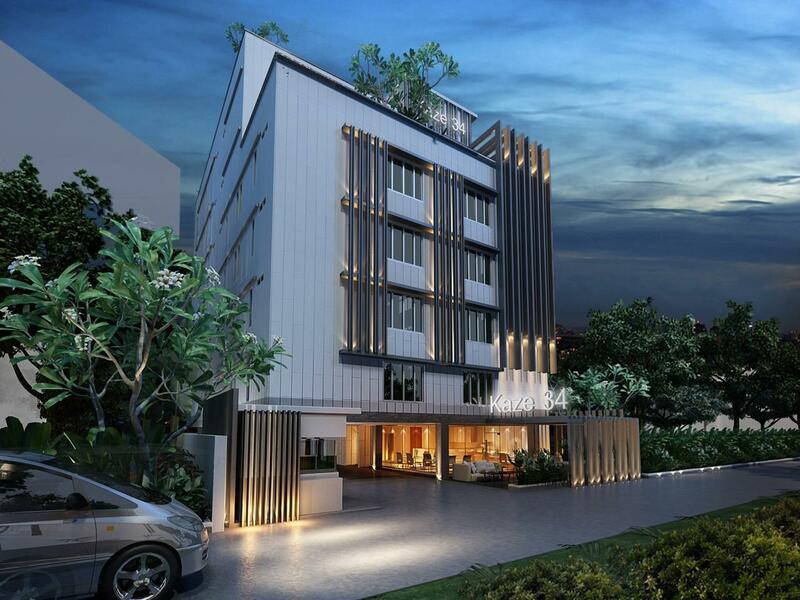 Book a stay at the Kaze 34 Hotel and Serviced Residence in Bangkok for a memorable holiday. This hotel is close to Rain Hill Plaza, Akko Art Gallery, Friends 'N' Stuff Bangkok, KOON, and AL-Mubeen Carpets Bangkok, Thailand. The rooms here overlook the city for picturesque views of Bangkok. From a concierge to dry cleaning services, the hotel offers a number of useful services to ensure that guests get the most out of their stay. Featuring a hot tub, a sauna, a garden, a golf course, and a mini golf course, the Kaze 34 Hotel and Serviced Residence is fully equipped to ensure that your vacation is as memorable as can be. There's free Wi-Fi in all rooms, as well as Wi-Fi in common areas, enabling you to access the network without splashing out on roaming and data costs. The hotel has several convenient features, such as a smoking area and safety deposit boxes. With Thai, American, and Asian restaurants in the area, you can choose your favorite cuisine. The Kaze 34 Hotel and Serviced Residence is pet-friendly, so you won't need to worry about finding a pet sitter while you're away. This Bangkok hotel offers check-in from 03:00 PM and check-out until 12:00 PM. With public transportation close to the property, you can easily get anywhere you want to go. The nearest airports are Suvarnabhumi International Airport (BKK) and Don Mueang International Airport (DMK), which are located 19.7 km and 21.6 km away. I was staying there for 2 nights, together with 2 dogs. 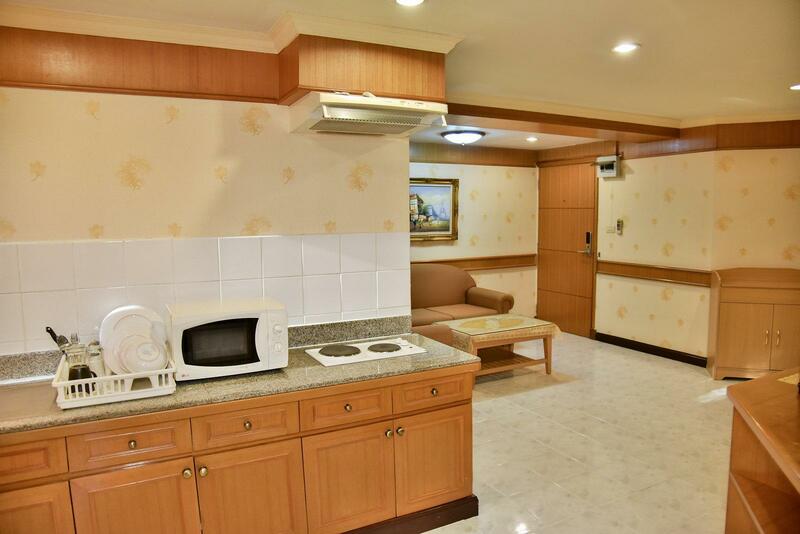 Staffs are friendly and helpful, and the room is like an apartment style, with cooking facility, washing machine. They provided free tuk tuk service to send customer to nearby main street as the hotel is located at small lane. I always bring my dog stay at Kaze 34. Staff always recognize me and very friendly. Great Service :) I will visit there again ! * location is hard to find but they have tuktuk service! The road to this place is very quiet & suitable if you go on couples or family trip. Convenience to move around with free tuk tuk service. Very nice! Pros: The hotel itself is very good. The owner is kind and welcoming. The staff were friendly, accommodating and can speak good English. The facilities were great. You can cook inside the room. There's a bathtub, hot tub on the 6th floor, a mini gym that has treadmill, elliptical, some lightweight dumbbells, and the machine that vibrates for weight loss. There is also a rooftop for the furbabies to play. Oh, they are pet friendly by the way. They also offer free tuktuk service to the main road from 7am to 7pm (12:00-1:00 pm lunch break). Cons: Only location. Since this place is 900 meters to the main road (Sukhumvit Soi 34), it is quite a hassle if you will go to or leave the place whenever the tuktuk service is unavailable, especially if you are carrying groceries. Yes you can ride the motorbike for 10baht per person, but the motorbikes are up only until 10pm. If you take a cab to the hotel, expect the drivers to be disappointed. Advise: Go out at 7am, come back before 7pm. When i arrived my room wasnt as clean as I expected, the bed and couch are both super uncomfortable. However for me the pros outweighed the cons (location is really good, staff are friendly friendly, complimentary tuk tuk service is great, reasonable prices and in a quiet area). 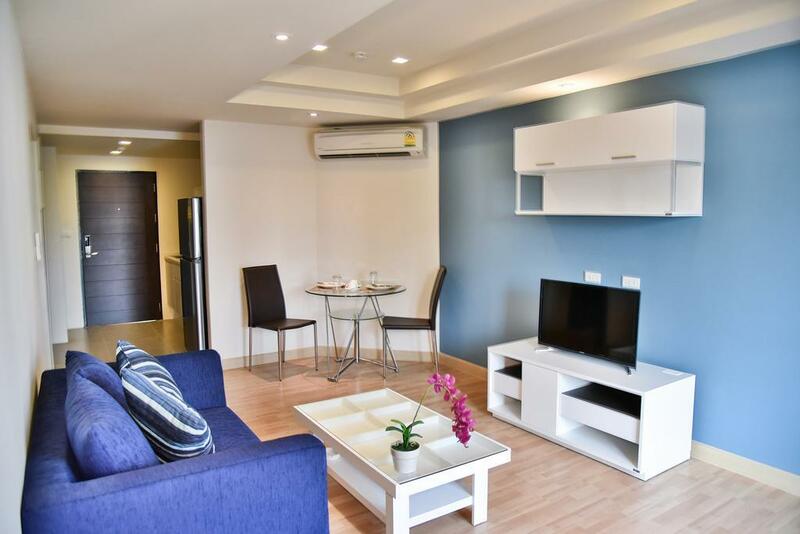 If it is not because of its inconvenience in term of location, then I might not be able to stay here 3 times, as sooner or later, all the rooms will be fully booked by other travelers who are looking for an fully equipped apartment in a quiet yet high living standard neighborhood, with friendly and helpful staffs. I loved the two bedroom deluxe, which adorably matches with our needs: 2 bed rooms enough for 3 ppl, a full kitchen ready to cook porridge for our baby (the staffs did help to gave us half of a rice pack and salt, we can not forget such kindness!!!!) , a washing machine, TV with my favorite channel NHK... but unluckily, in the 3rd time, we missed to book the room :( and had no choice but to choose classic deluxe. It still meet us with our needs, but in a totally classic style :-). Still love it! Thanks so much for all the good experience here! This Apartment is certainly good and spacious having required facilities including kitchen. Only negative factor here is Hotel's location. In case you don't have local taxi app installed it will be a tough call for you to reach out to Hotel. Staff friendly, also allowed dog :) Location is not that good, but hotel offer Free Tuk Tuk service to BTS and around the hotel. Accessibility not the greatest - narrow streets - small narrow parking. Bit too far from Sukhumvit for my liking. But clean and spacious rooms. All looks new and clean. difficult to find location. inside and outside there is no cleanliness . plus they gave my room to someone because I was late. Good luck getting a taxi to and from here. After dropping your luggage off, you're best off getting around by motortaxi or taking the motortaxi to the nearest BTS skytrain stop. very good modern apartment in. Very large and clean Bit difficult park the car as the strit is narrow. Manager (or may be owner) Young Lady is extremely helpfull with perfect English. HIGHLY RECOMMENDED!!! Great little hotel/serviced apartment well fitted out apartments and a good sauna. 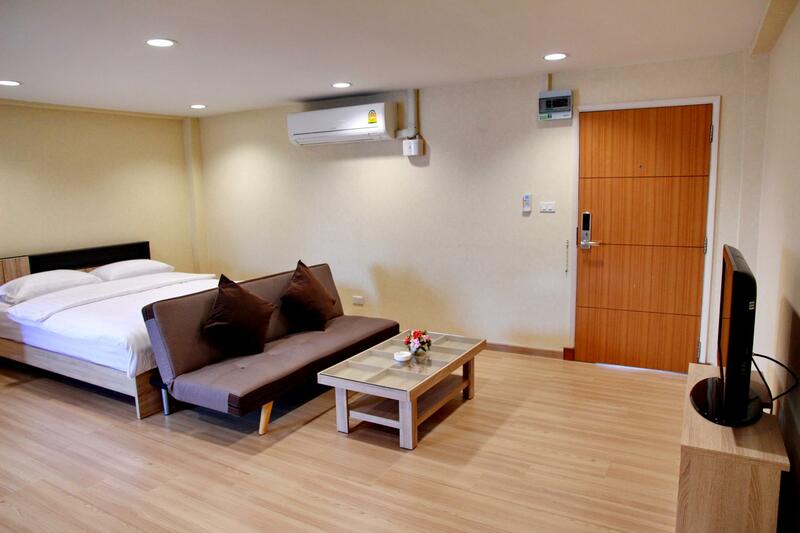 Good wifi connection in rooms, shuttle service also fast and usually can depart immediately on demand and well equipped kitchenette with full size refrigerator. For these reasons I return to this property regularly and it is a pleasure to deal with the management for arranging anything I need. Very helpful, friendly. Awesome Vibe and Great Location. I frequent Bangkok and have stayed many places. From now on I am only staying at the kaze- the tuk tuk service they provide is awesome. The staff is always smiling. 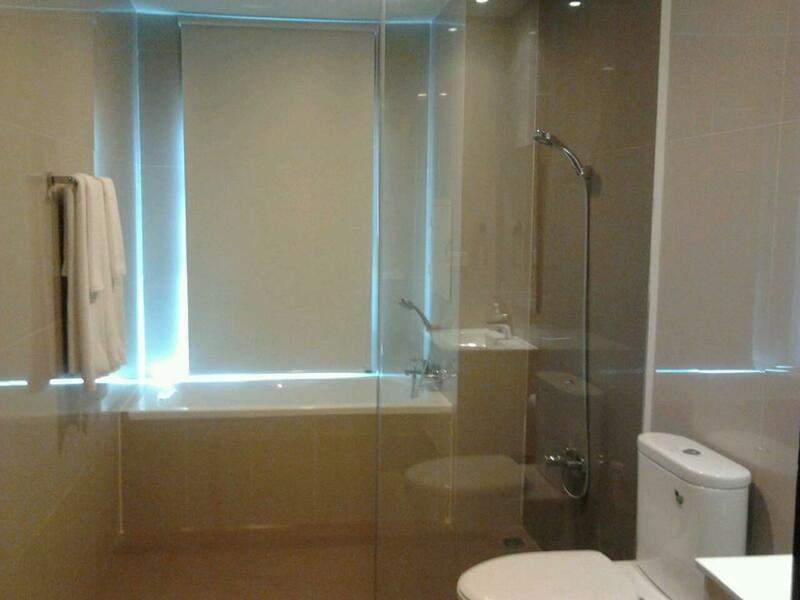 Spacious room, wonderful gym, jacuzzi, rooftop garden and sauna. I felt very taken care of and cared about. They go above and beyond to make your stay comfortable and memorable! High recommended! One of the best hotels I've ever been to. Staff are incredible, facilities are really good, the location is quiet and although 10mins walk from the bts with the free tuk tuk service offered only really a 2min walk! Can't wait to stay here again next time we are in Bangkok!